Would you love to get your hands on a copy of Equality For Men by Glen Poole but want to have a look inside before you buy the book? If so then you’ll be delighted to know that you can now download a free extract of the book, so you can try before you buy. If you want to discover for yourself why people are saying that Equality For Men is a “skillfully produced”, “compelling”, “really great”, “truly excellent” book that “focuses on the main point brilliantly” and should be “mandatory reading”, then why now download a free extract now? You can read the first chapter of Equality For Men for free today by clicking on this link now. 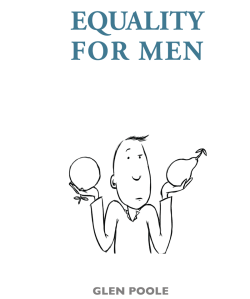 If you want to find out for yourself if Equality For Men is a great read then why not download the first chapter of the book book now by clicking on this link. 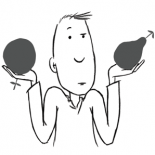 This entry was posted on December 19, 2013 by equality4menuk in News.